More than 1,000 children from 15 schools across Leicester have been taking part in a massive litter pick as part of the Litter Less Campaingn organized by Keep Britain Tidy last week. 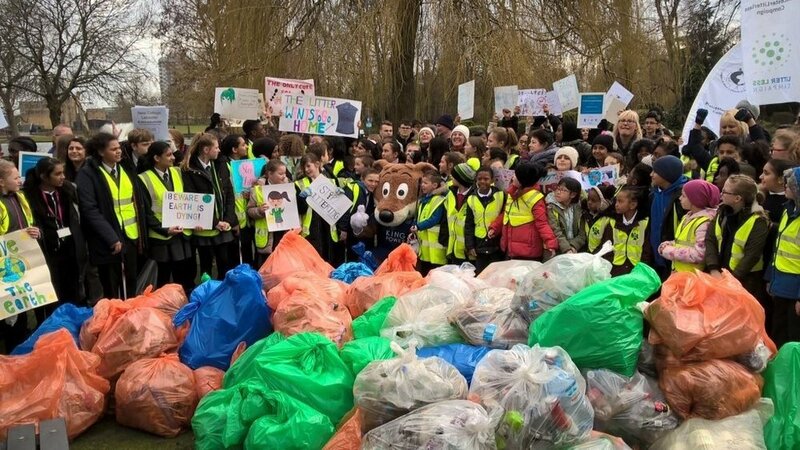 In only one morning, students were able to collect 200 bags of rubbish in and around their schools before joining together at a Leicester park to celebrate their achievements and help raise awareness. This is the first time a city’s schools have joined together to achieve such amazing results! The Litter Less Campaign (a joint initiative of the Wrigley company and the Foundation for Environmental Education) is now in its seventh year and has run in 35 countries. “It would be a great idea to do this every week… students learn about how important our environment is and why we should cherish it” – Jenni, year 11, Hamilton Academy. “Fun and enjoyable whilst being good for our school and local environment” – Keira, year 9, Hamilton Academy. “It’s surprising the impact a few plastic bottles can have, we should recycle a lot more. It was really good how our student council came together as one real community” – Georgina, year 9, Hamilton Academy. Congratulations to all the teachers and pupils for such an amazing, inspiring initiative! Newer PostAre you ready to take up the challenge?